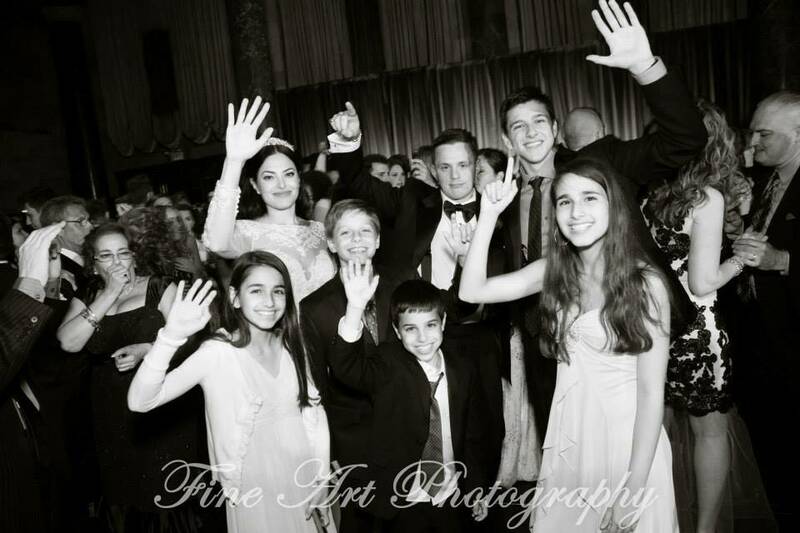 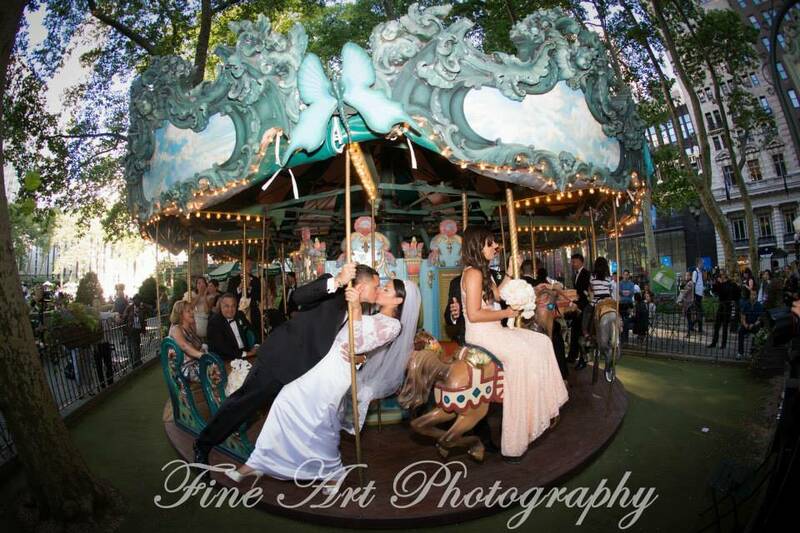 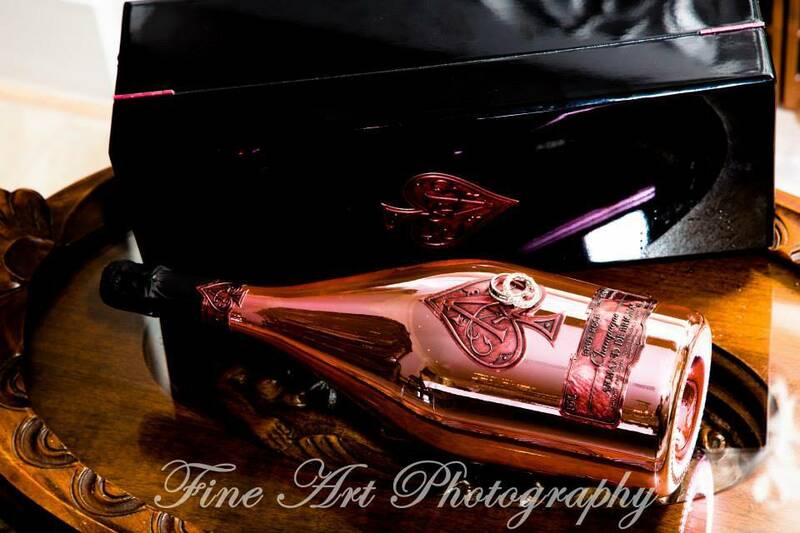 The expert Cipriani wedding photographers at Fine Art will provide your children with the most magical wedding. 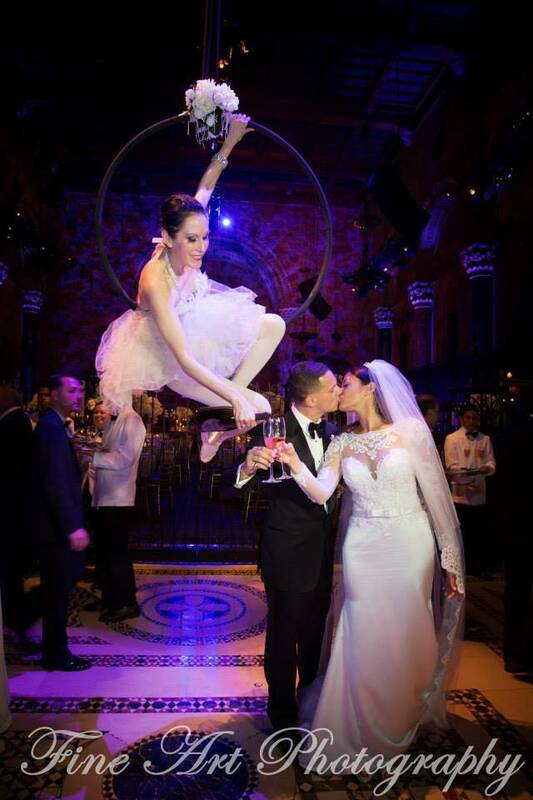 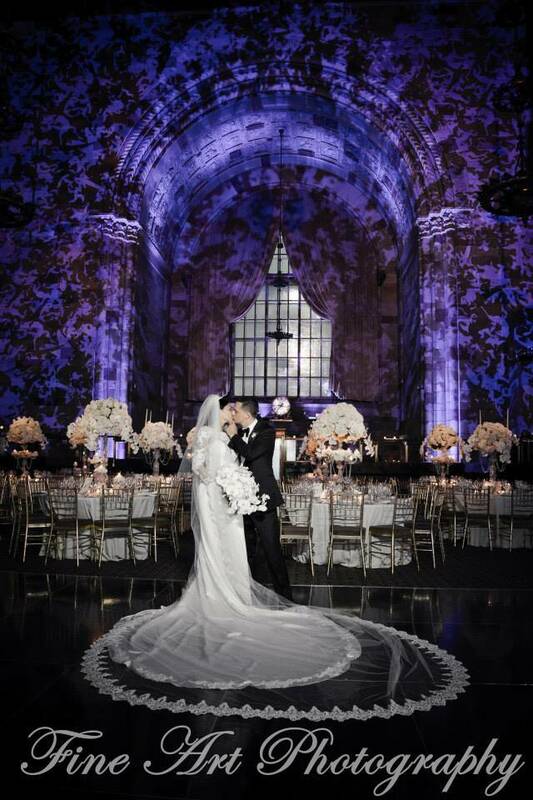 Every dream they ever had about their NYC wedding at the beautiful Cipriani on 42nd street will be captured forever. 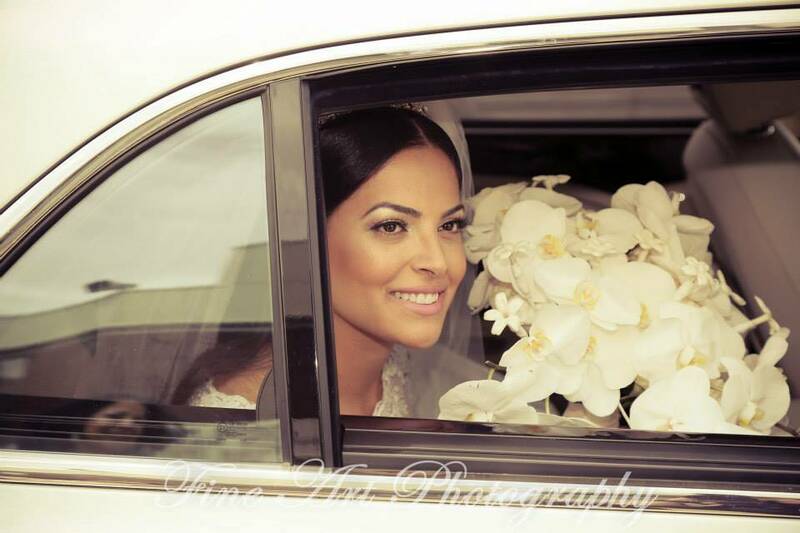 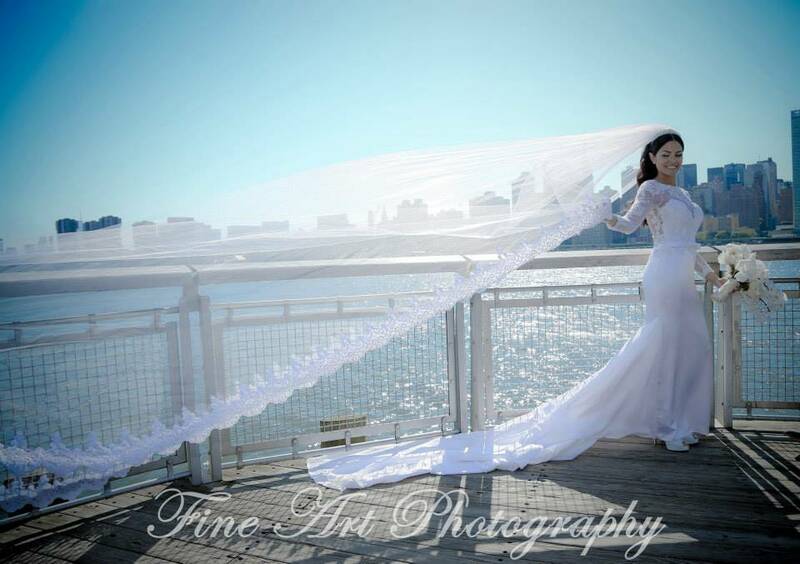 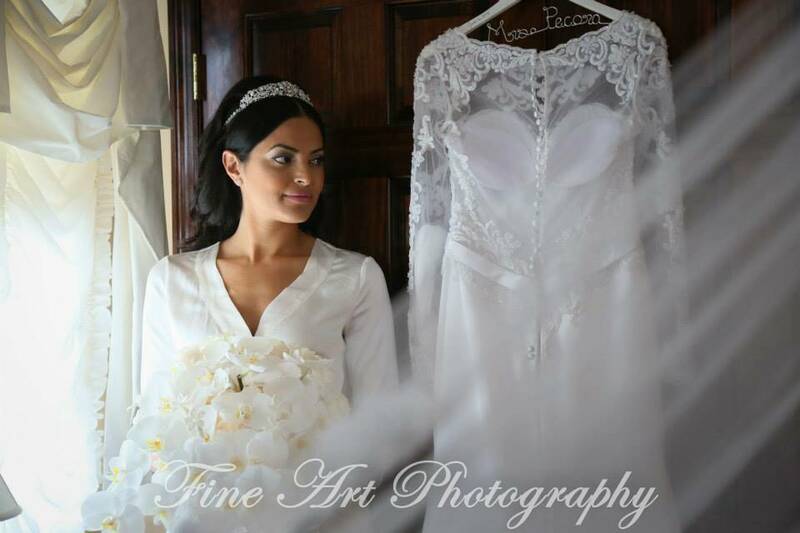 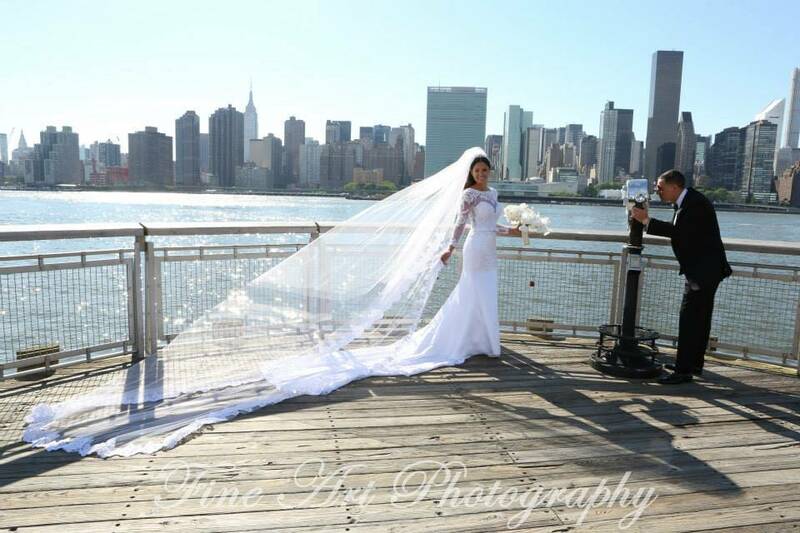 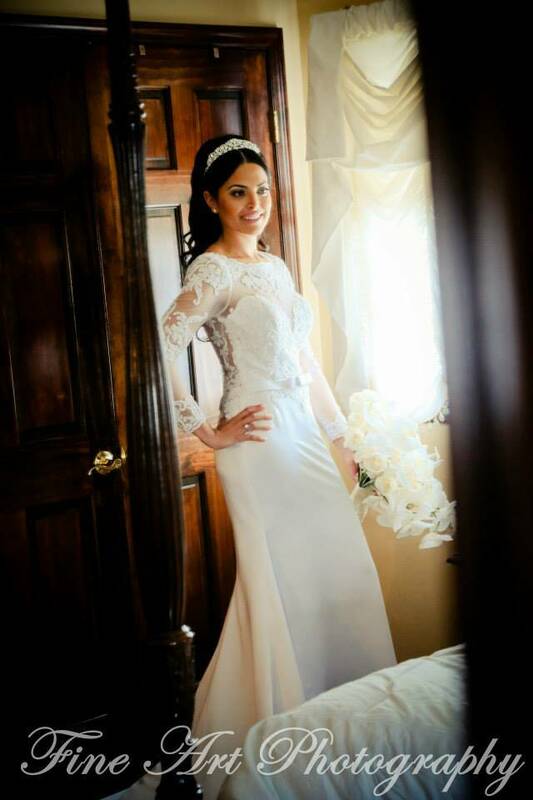 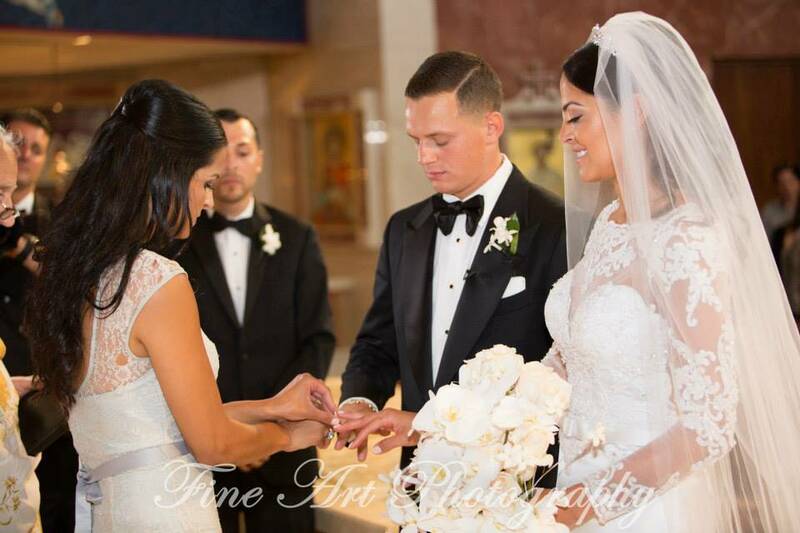 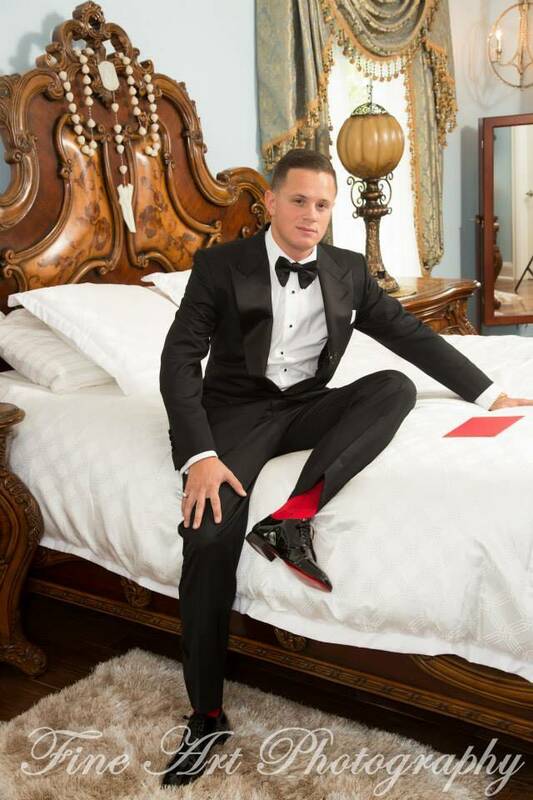 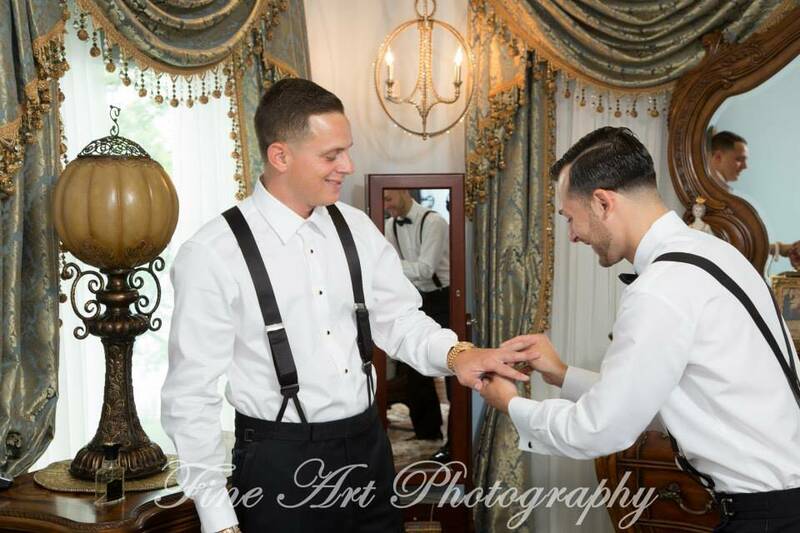 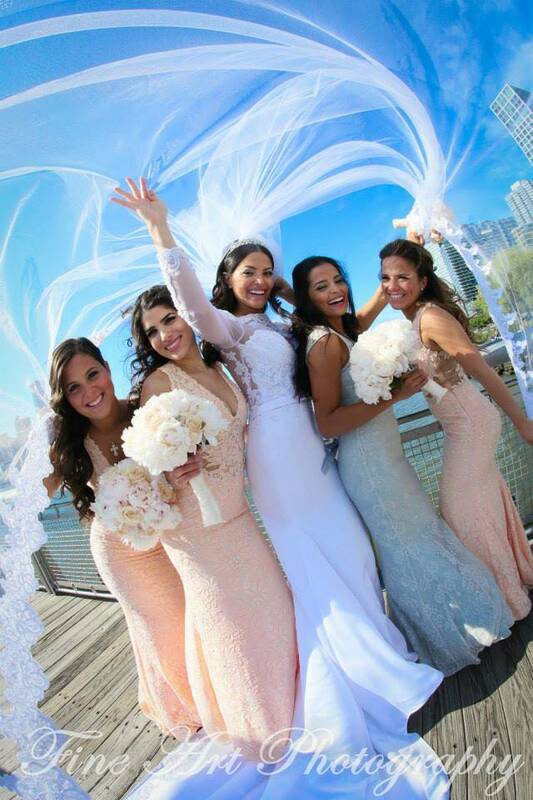 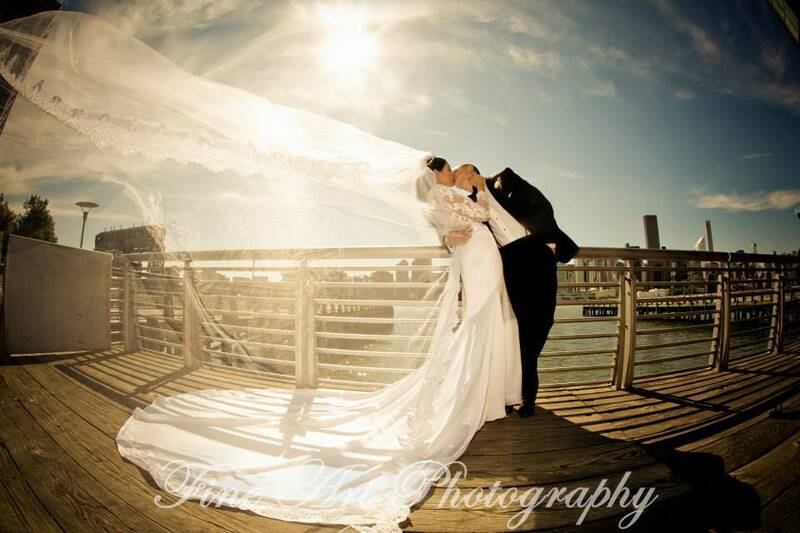 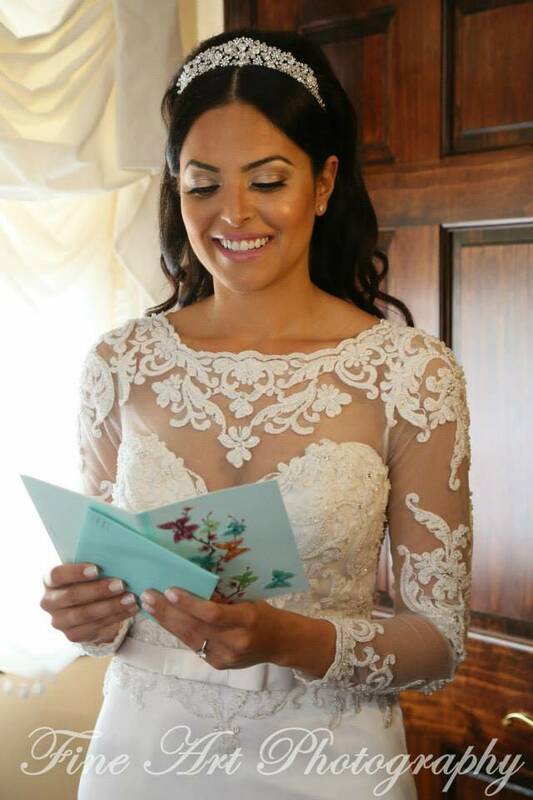 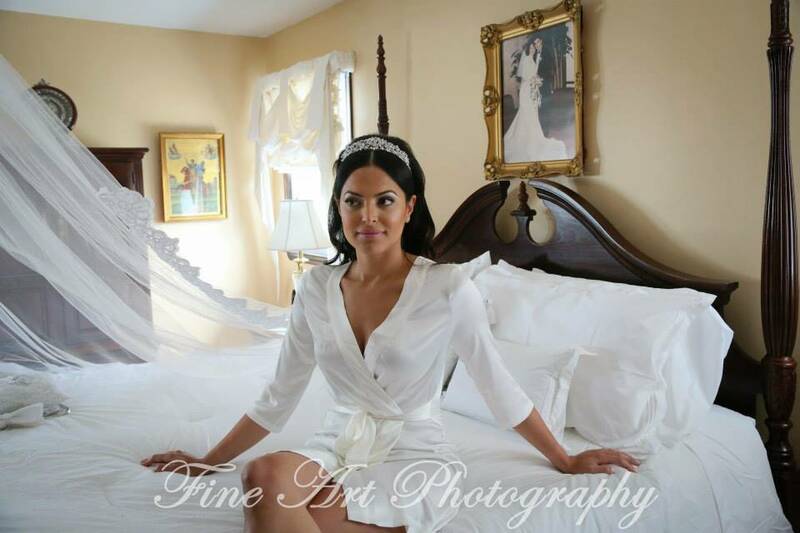 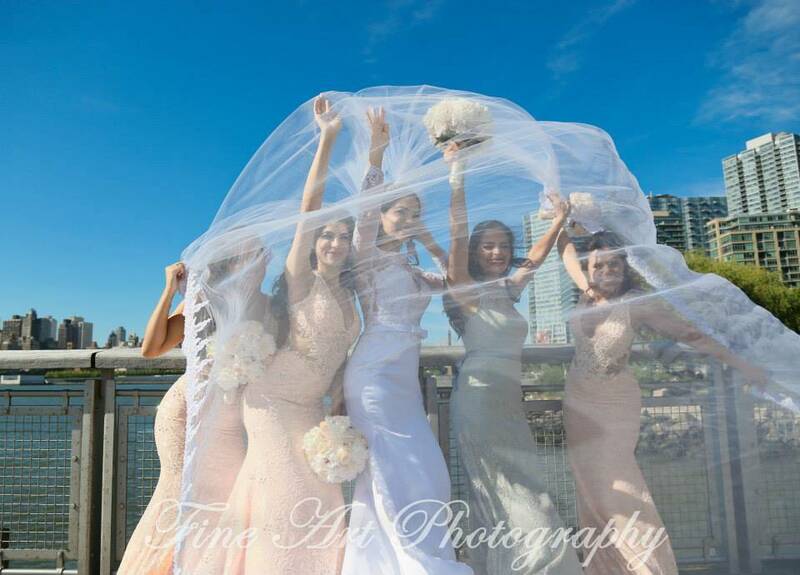 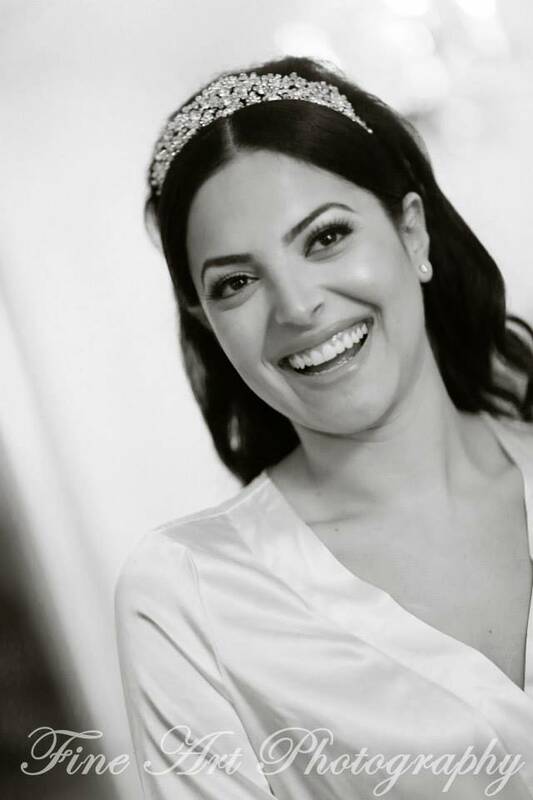 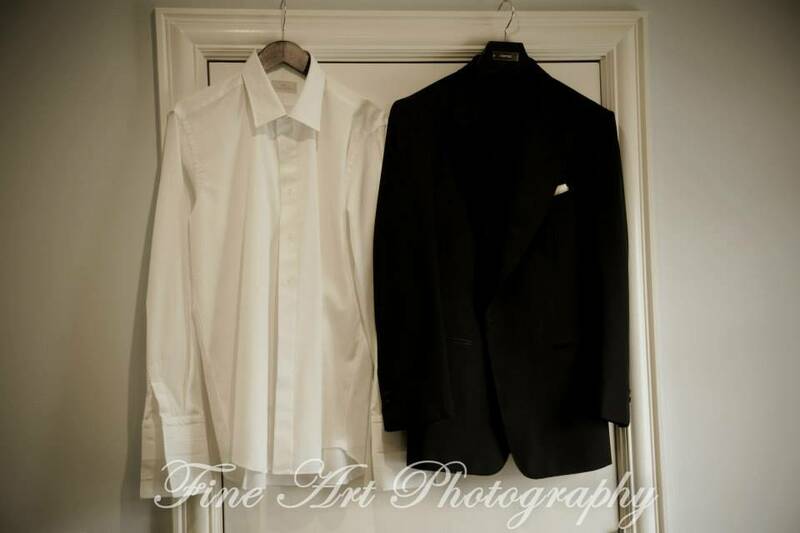 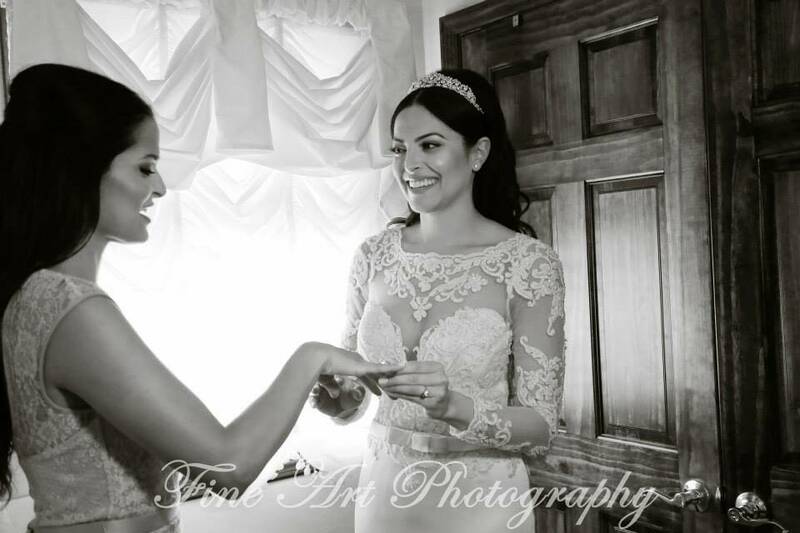 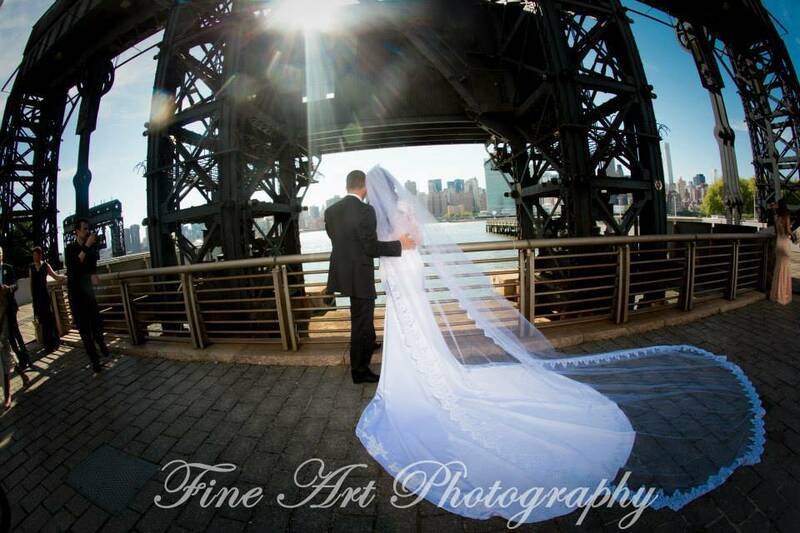 We at Fine Art Photo and Video make sure we know the bride and groom before the big day to be sure that our wedding photography at Cipriani encompasses all the romance shared. 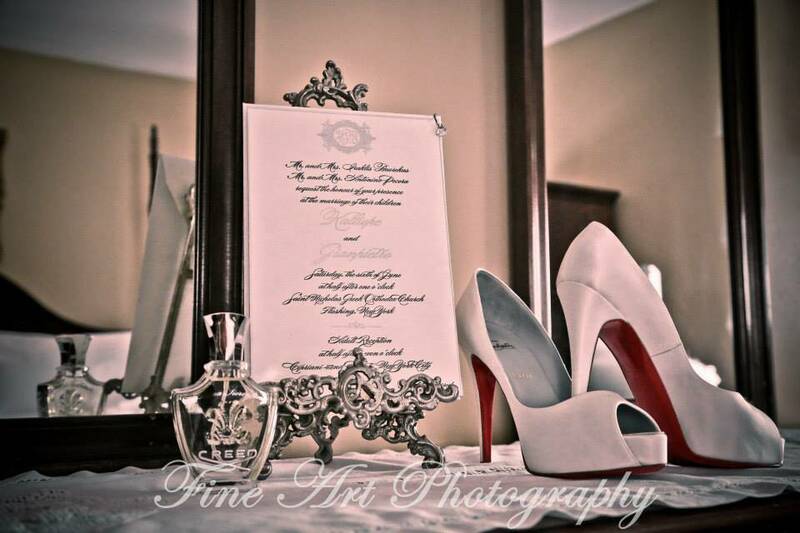 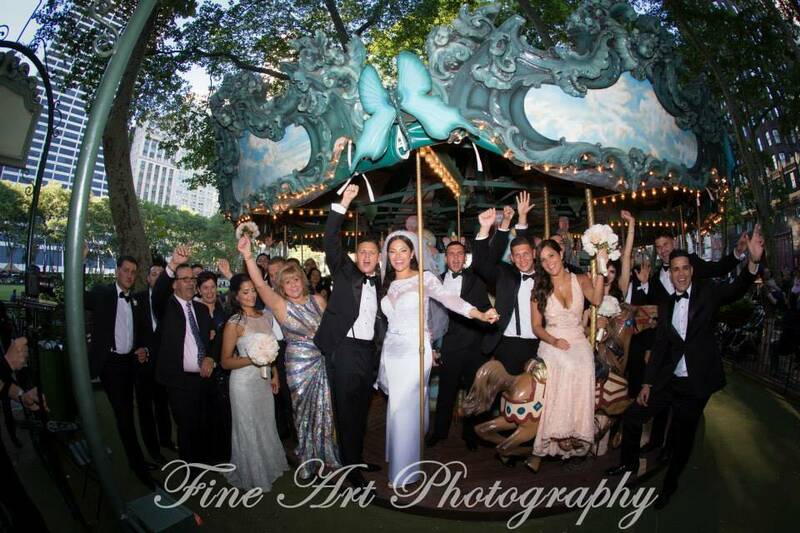 Fine Art Photography and Video is proud to announce the wedding of Kalliope and Gianpietro! 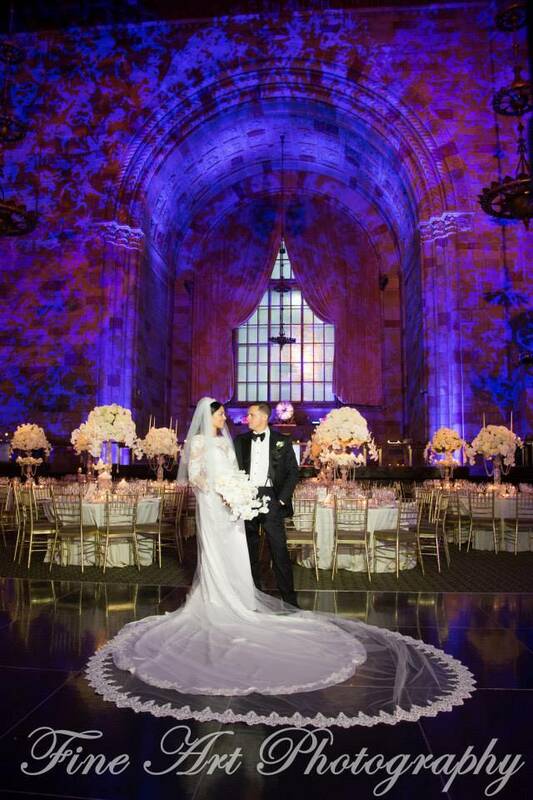 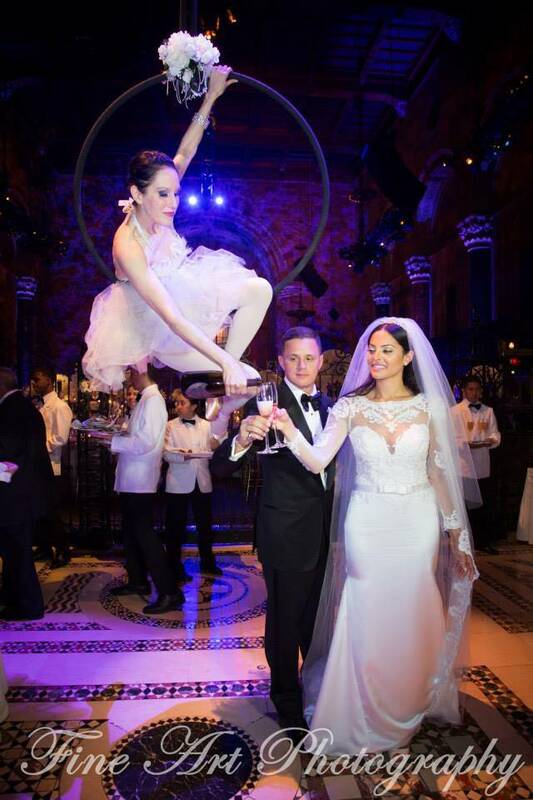 This elegant couple selected the Cipriani Wedding Venue. 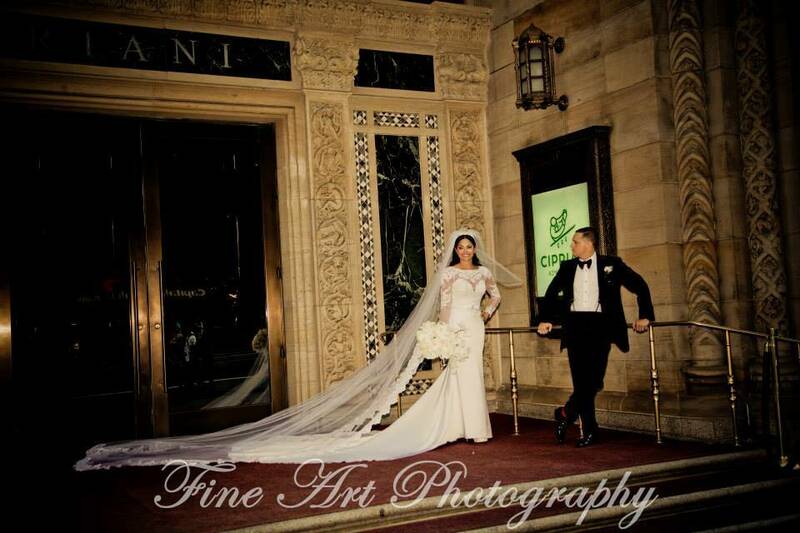 This stunning venue offers an exquisite environment for our professional Cipriani wedding photographers. 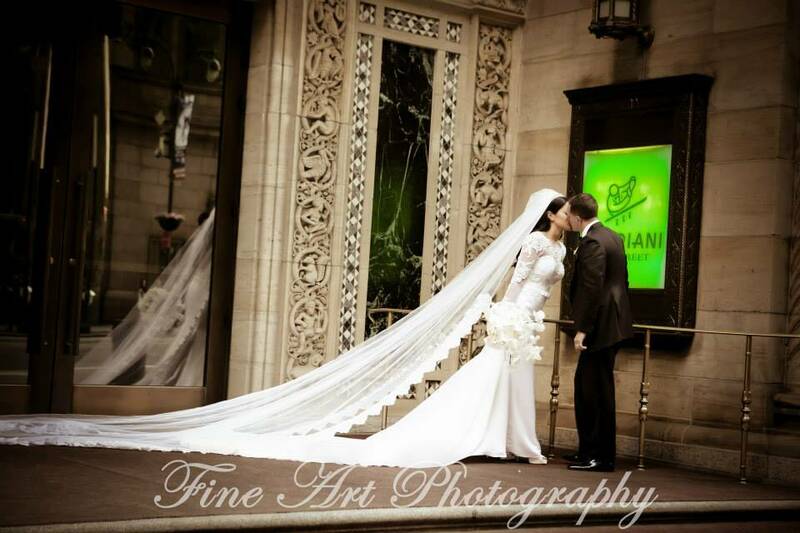 Wedding Photography at Cipriani on 42nd street is beautiful, elegant, and full of possibilities. 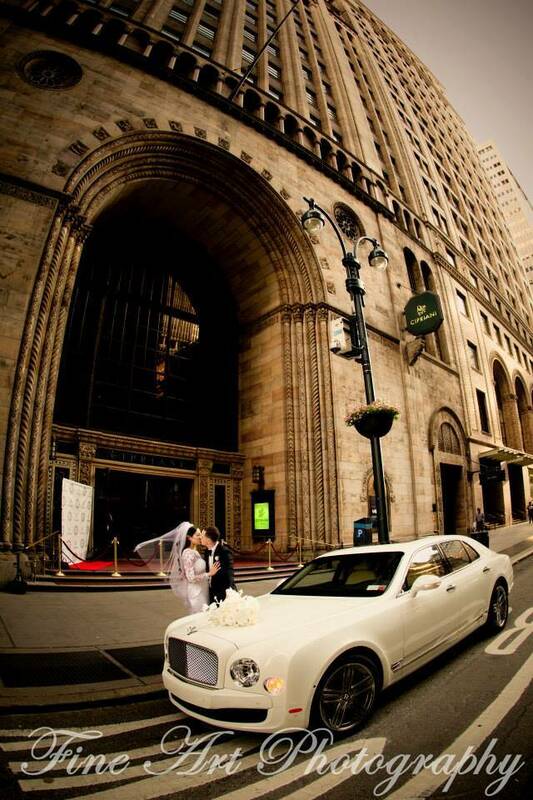 Cipriani is located in the heart of New York City. 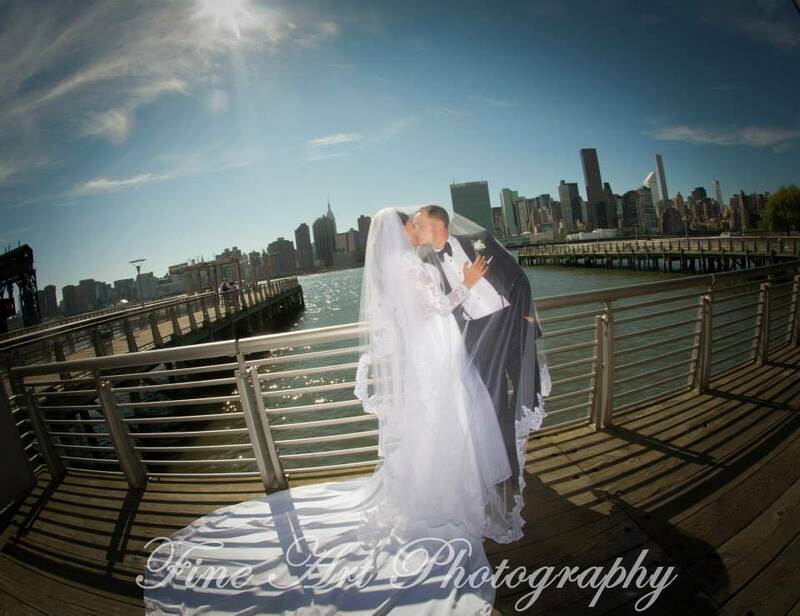 The lovely couple we photographed has a variety of backdrops to remember their special day. 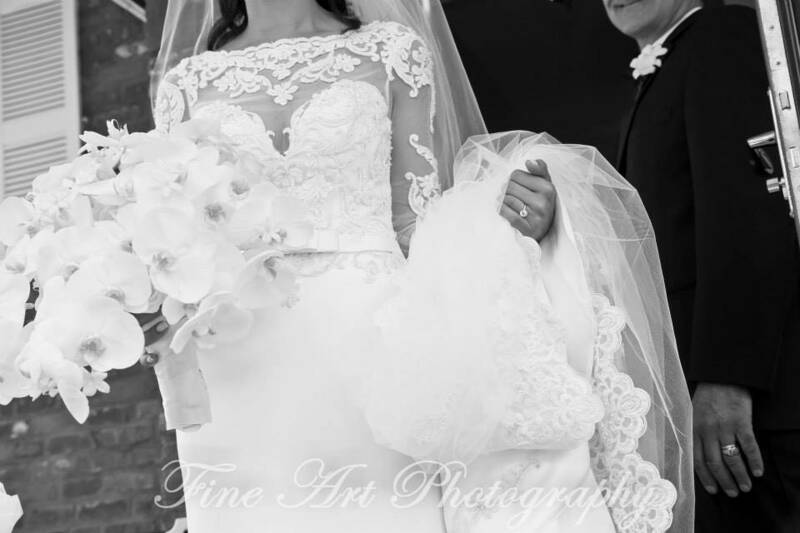 Kalliope and Gianpietro are an elegant and lovely couple. 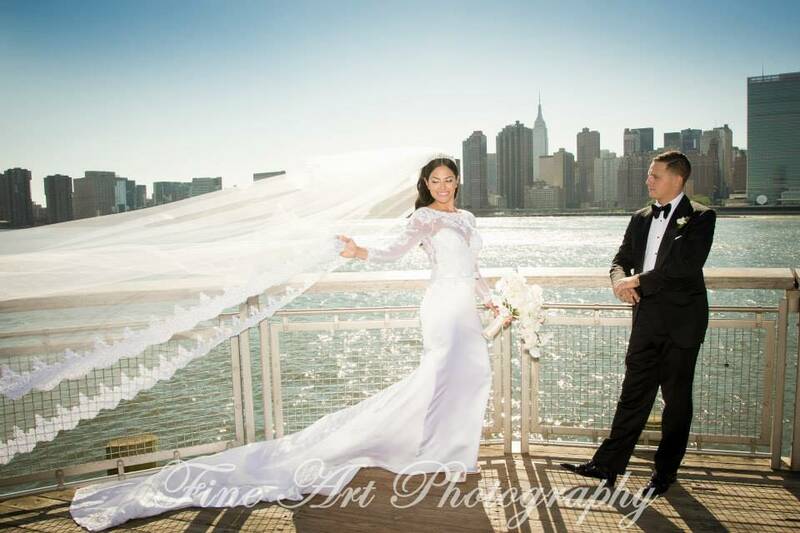 We photographed this couple in a variety of locations such as Time Square, looking out over the East River, and of course at the venue, Cipriani. 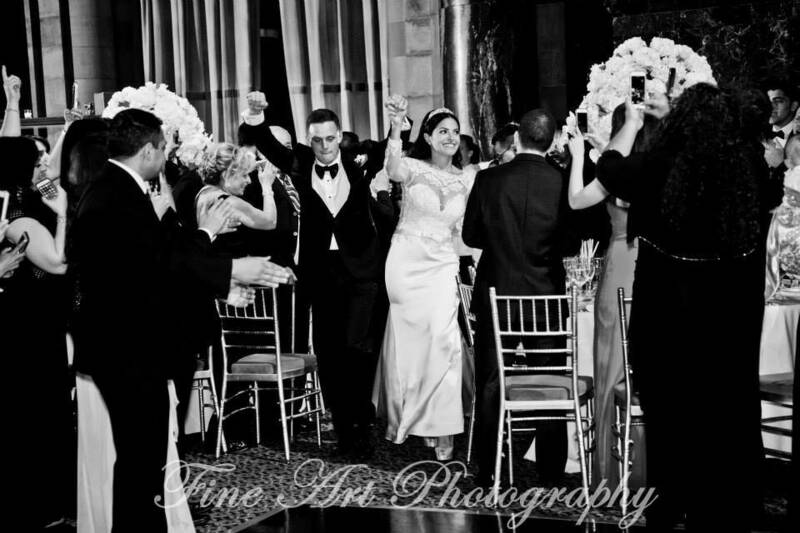 The reception hall gave us some of the most beautifully, dramatic photographs of this wonderful couple. 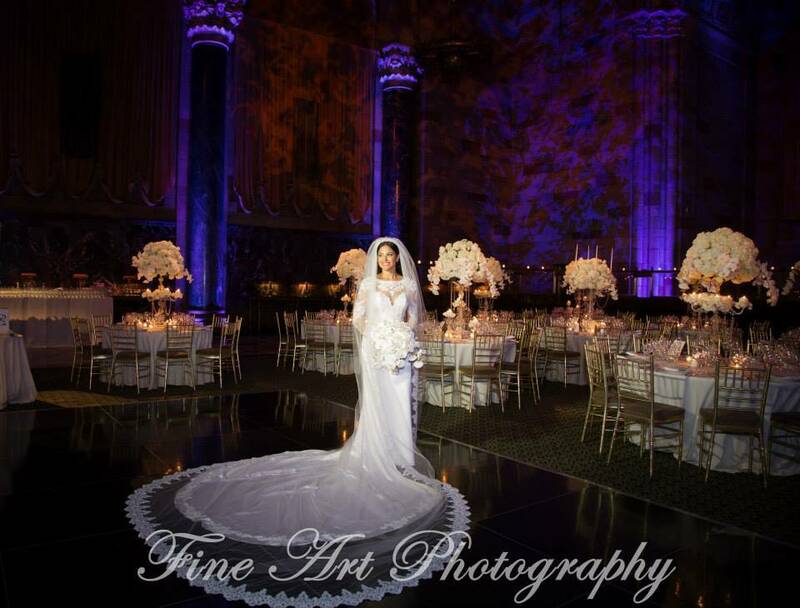 Some of our favorite Wedding photography at Cipriani on 42nd Street are taken in the stylishly decorated reception hall. 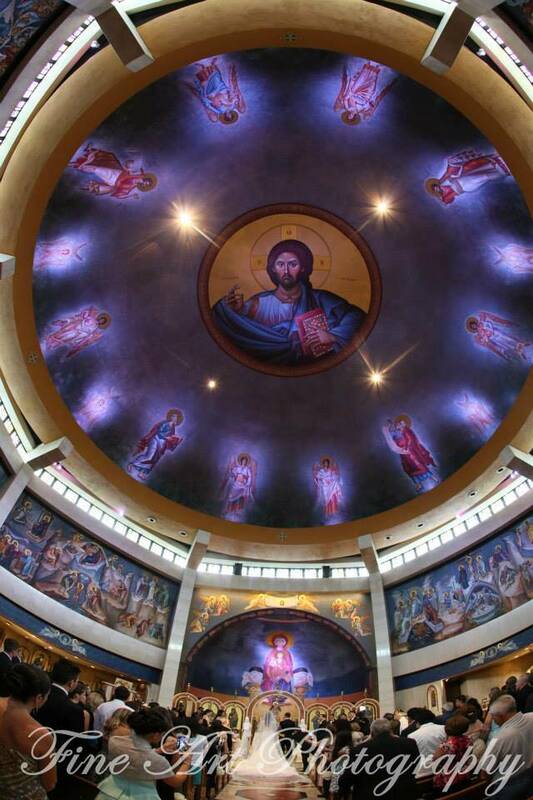 The room is dimly-lit with a purple hue. 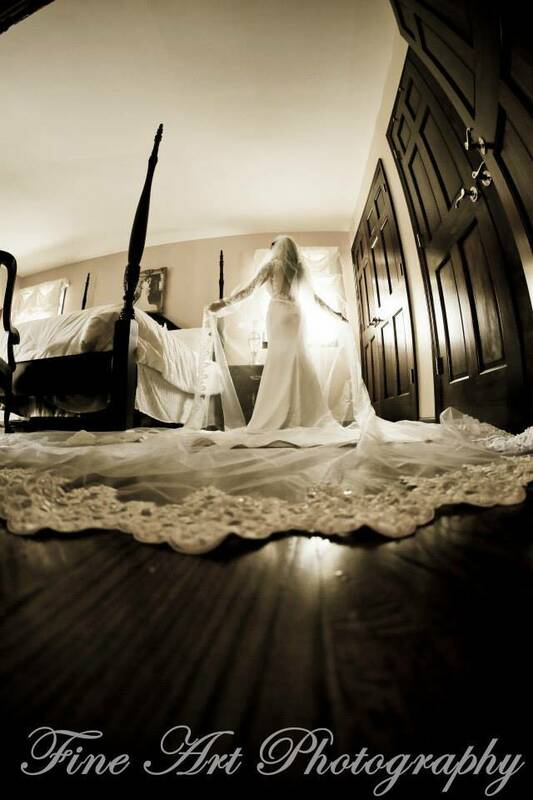 The shadows on the wall that are intermixed with the purple glow create extraordinary patterns and depth to the photographs. 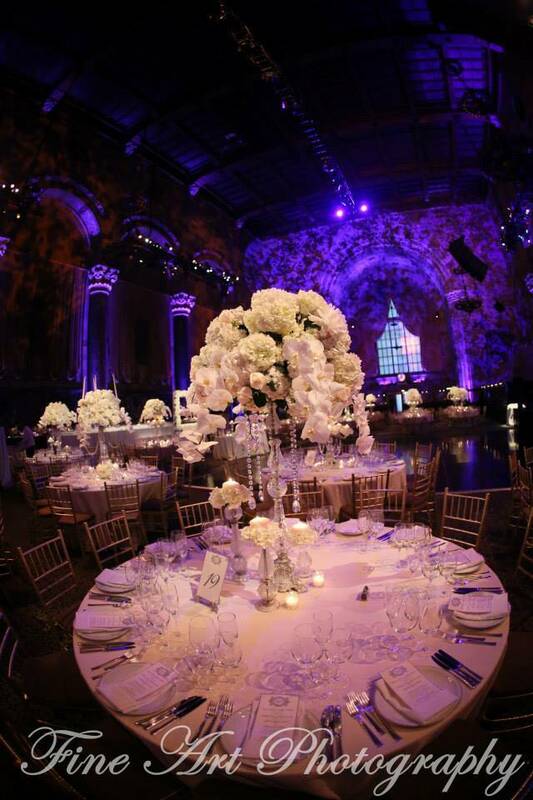 The white tables and centerpieces give amazing contrast to the dim yet elegant lighting. 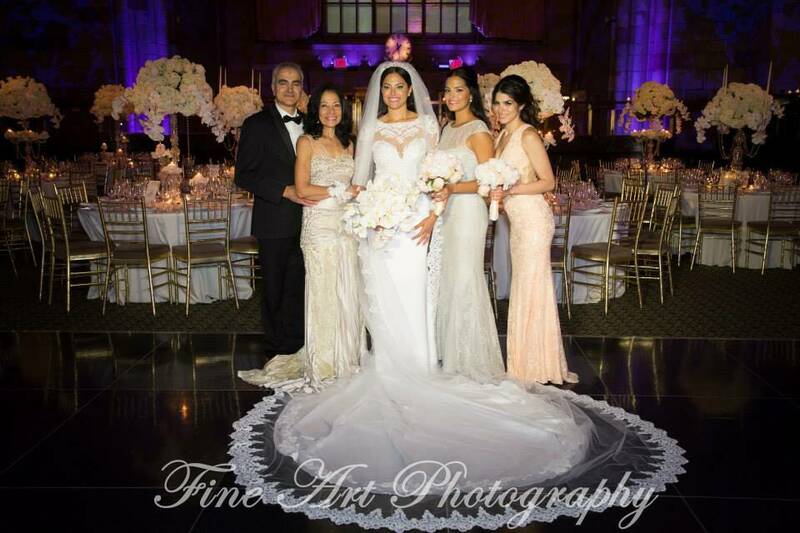 The Corinthian style pillars stand tall in the background as a staple of traditional architecture from Roman tradition, a perfect backdrop for Fine Art to demonstrate our perfection as Cipriani wedding photographers. 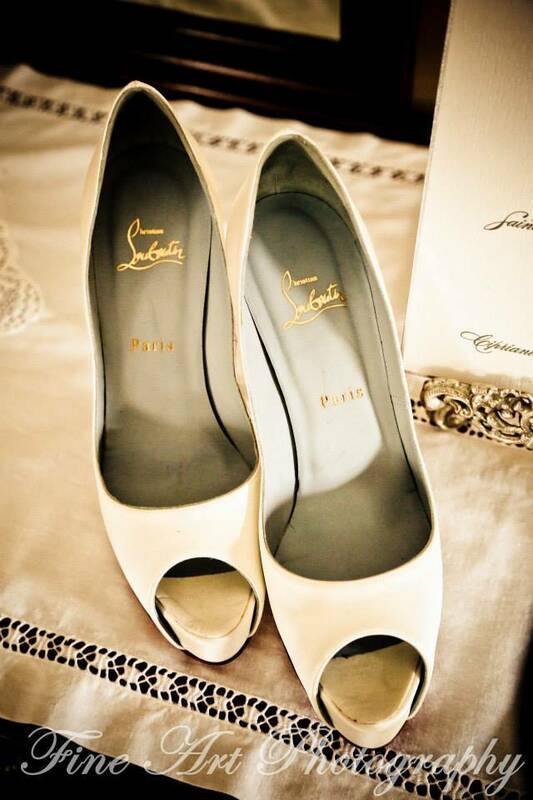 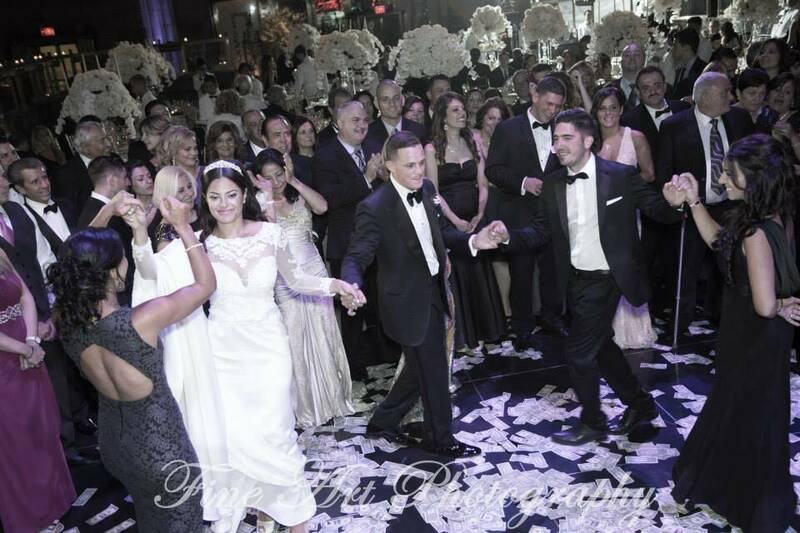 The bride stands beautiful on the dance floor in her white dress, holding her white bouquet. 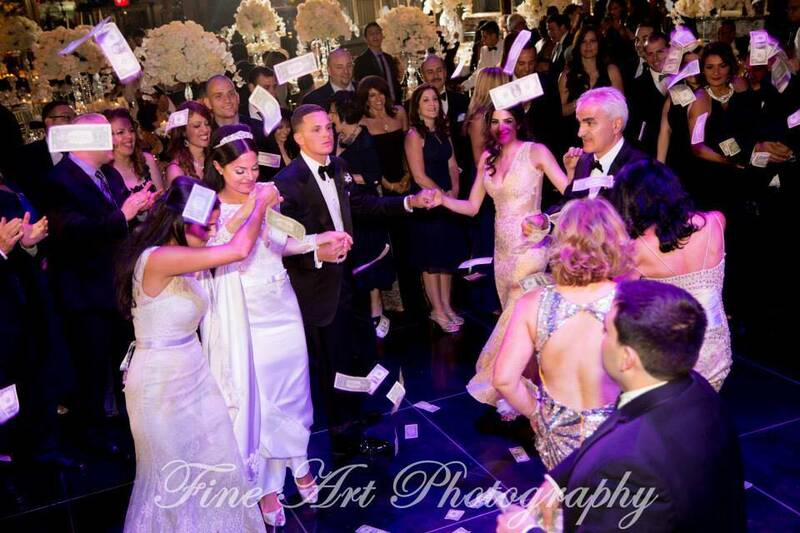 The bottom of her dress flows over the dance floor which is a shade of midnight black. 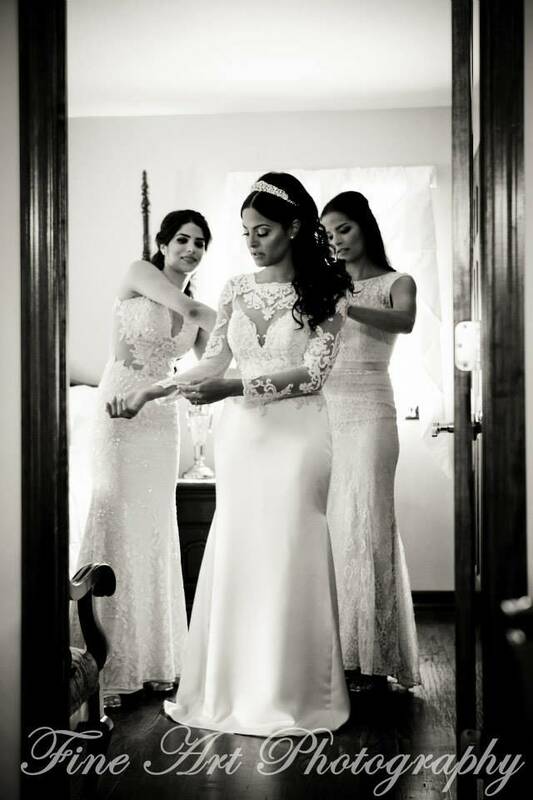 The layers of detail and beauty in this photograph are both dramatic and flawless. 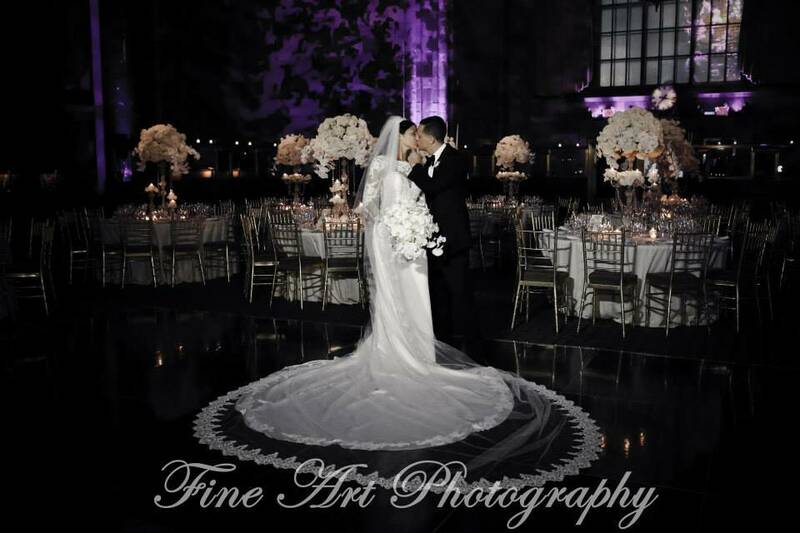 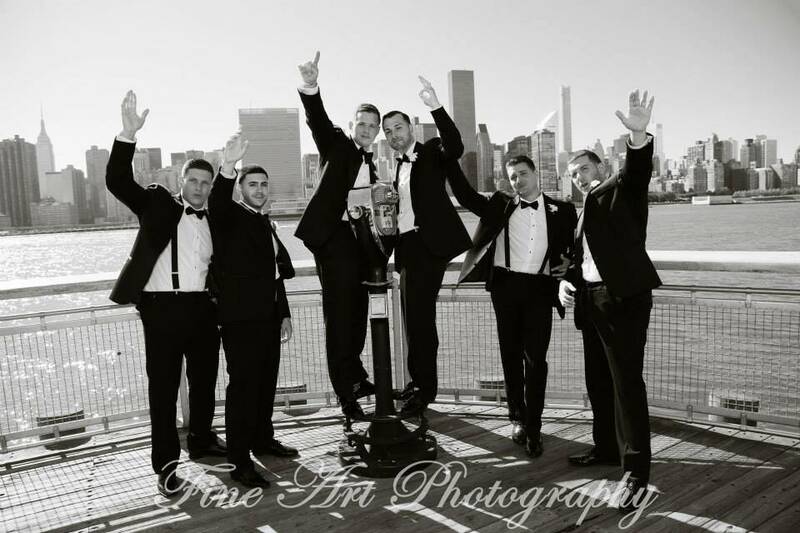 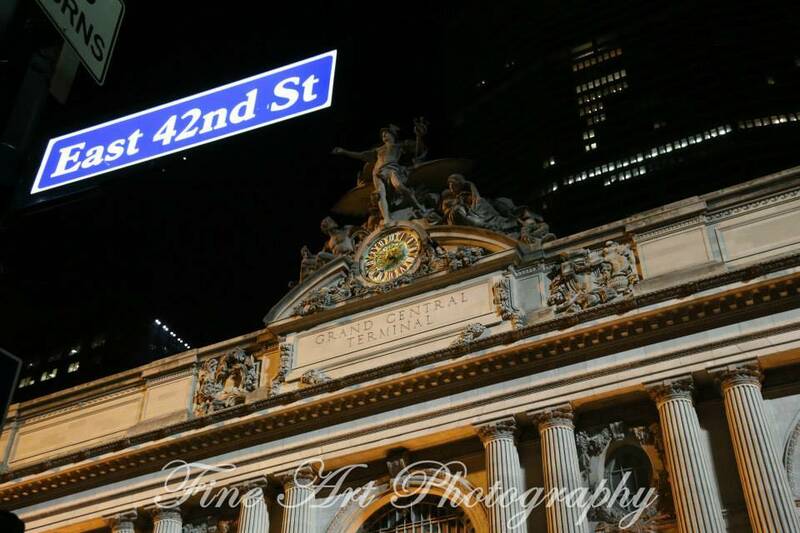 From all of us here at Fine Art Photography and Video, we want to offer or sincerest thank you to Kalliope and Gianpietro for selecting us to provide them with the elegant Wedding photography at Cipriani on 42nd street that is described above. 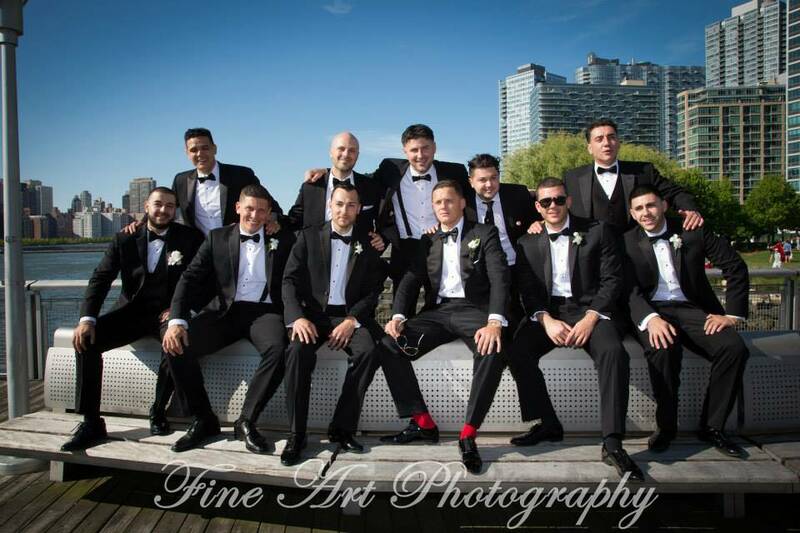 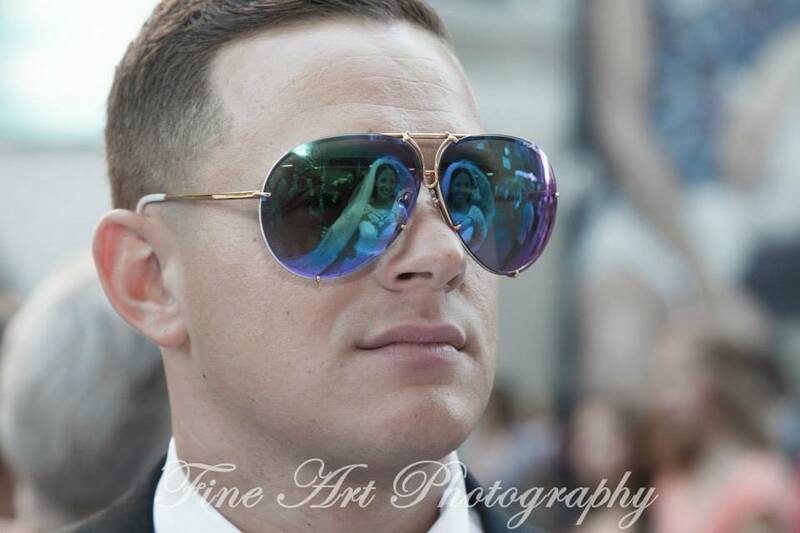 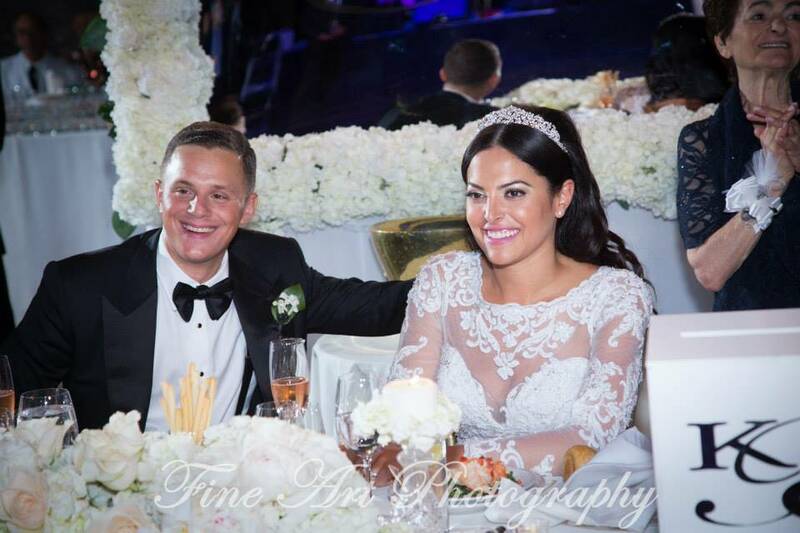 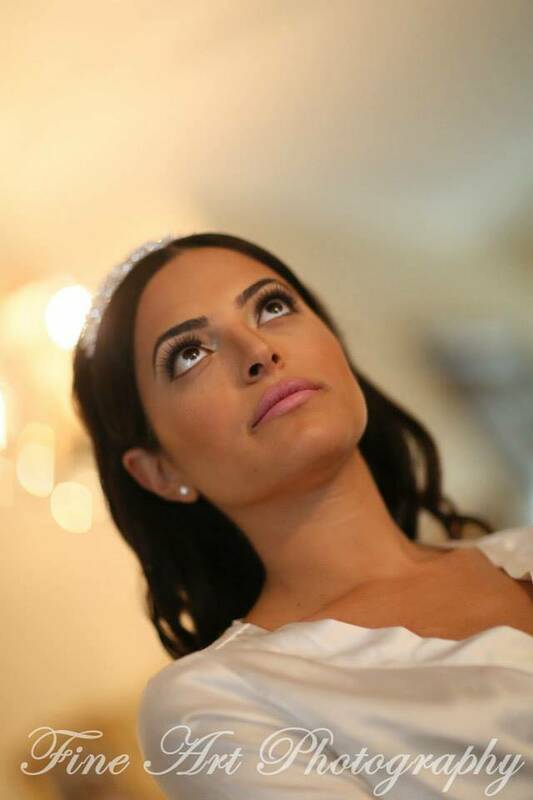 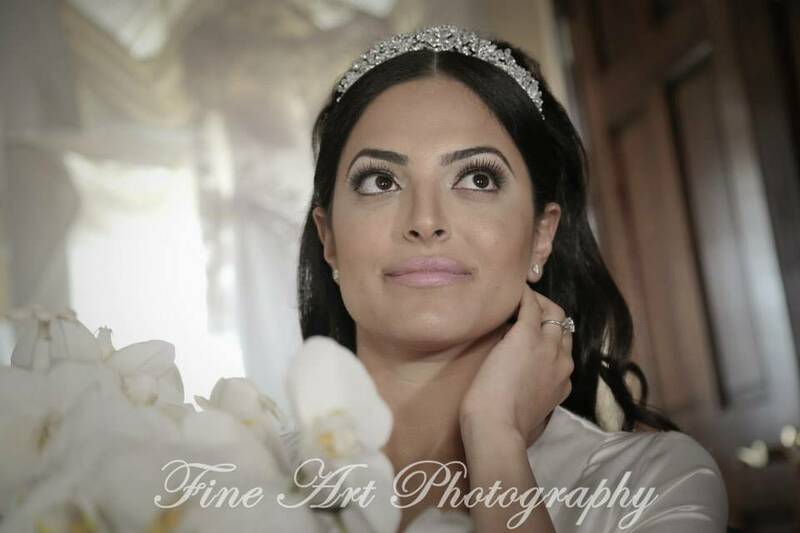 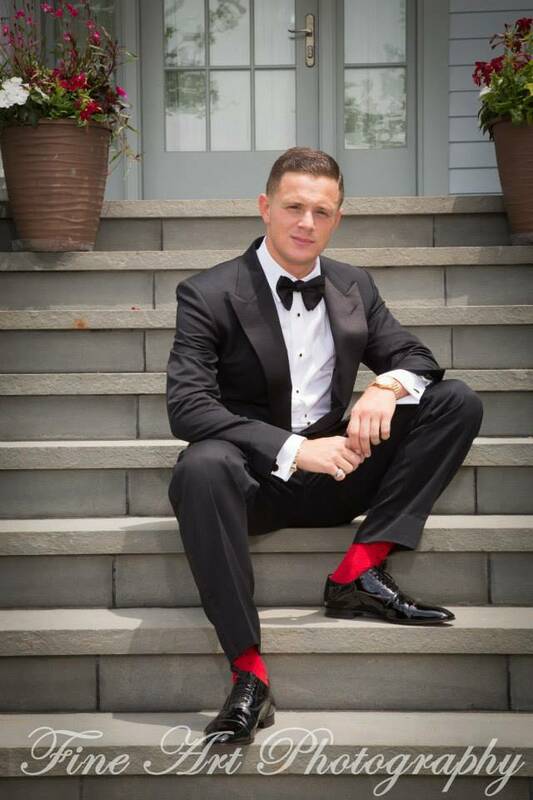 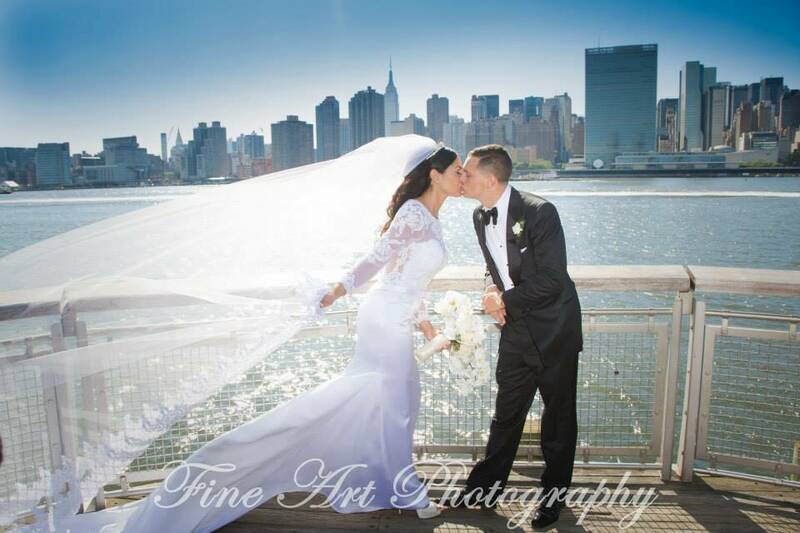 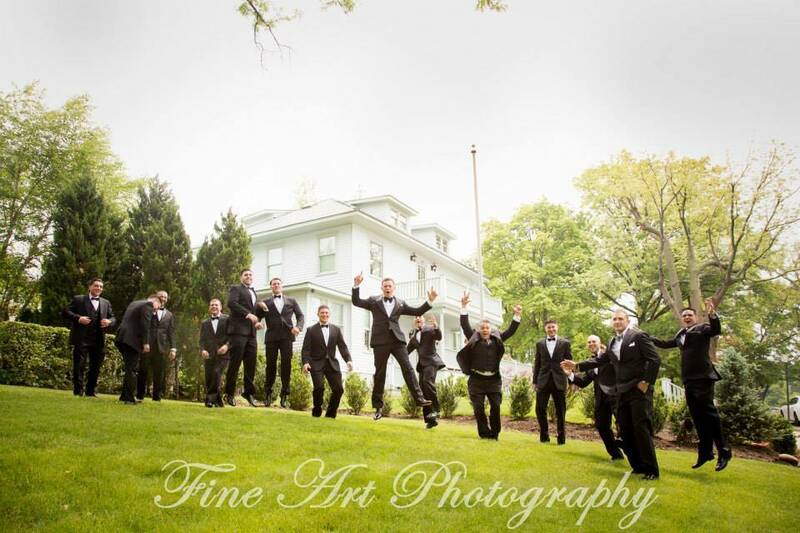 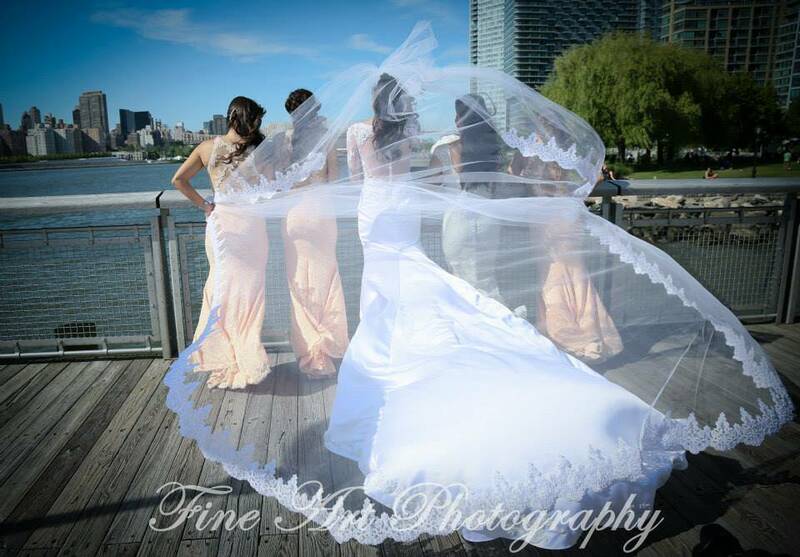 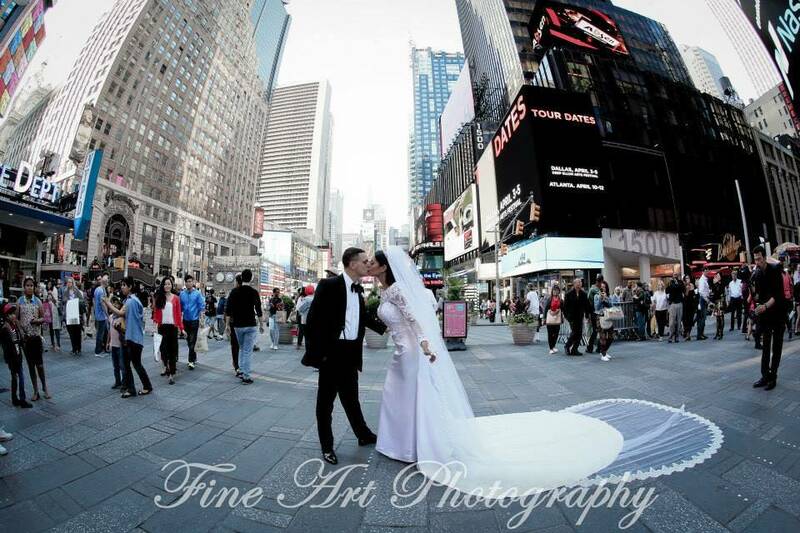 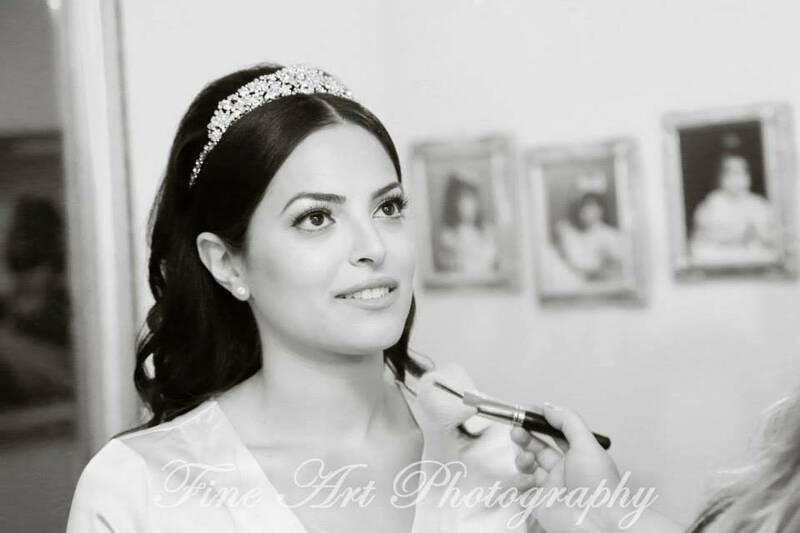 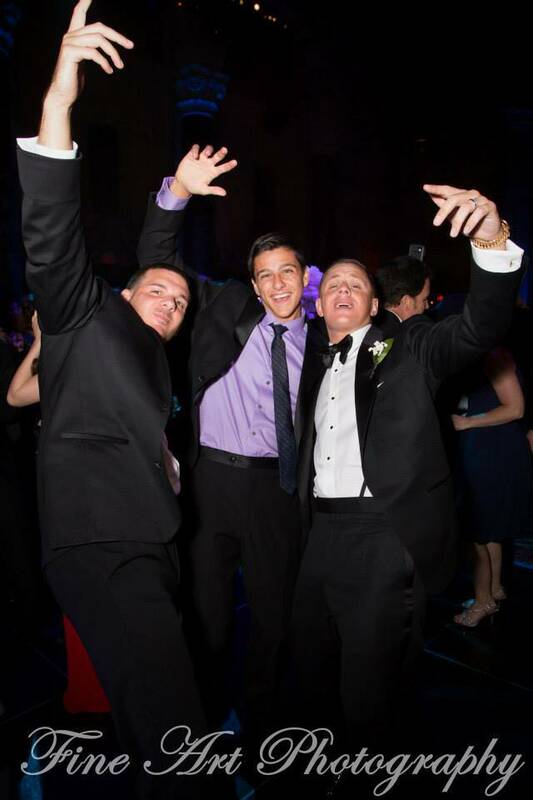 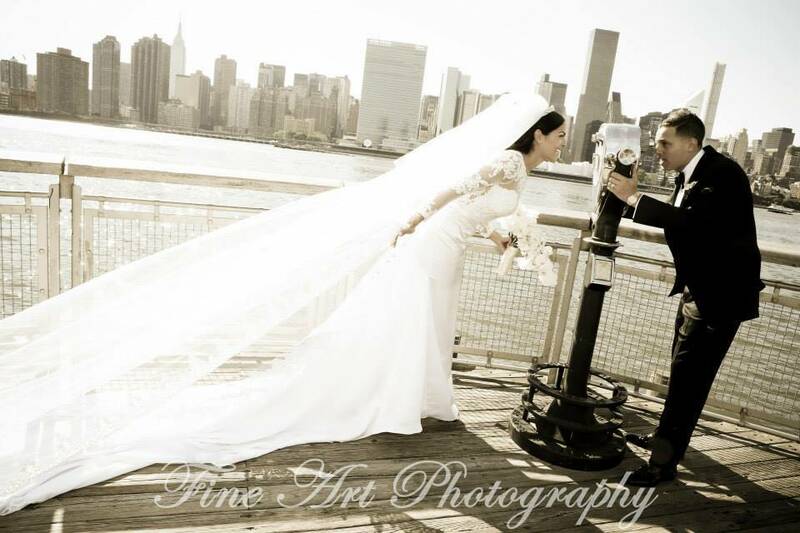 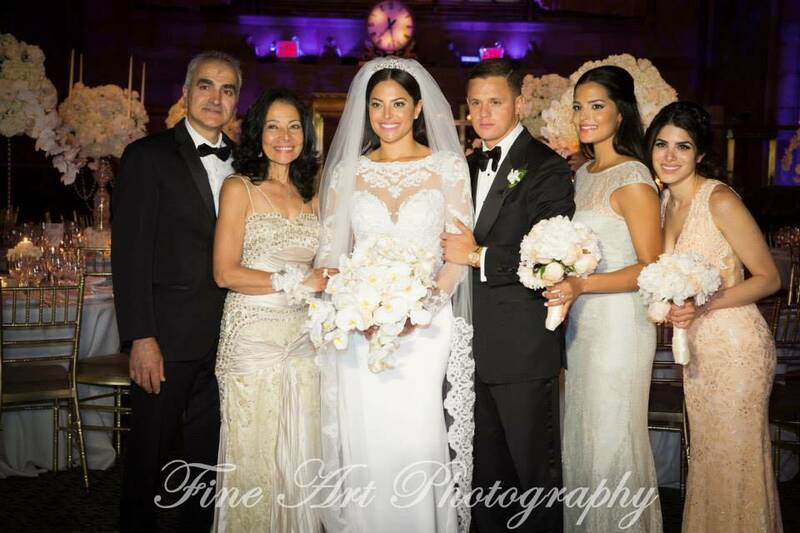 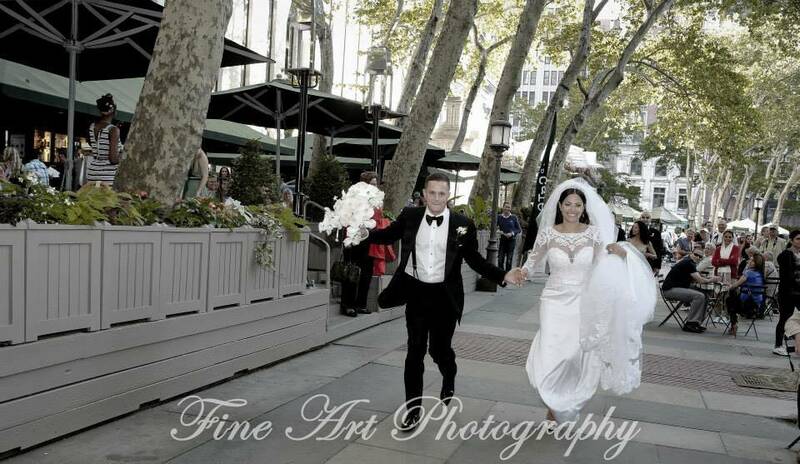 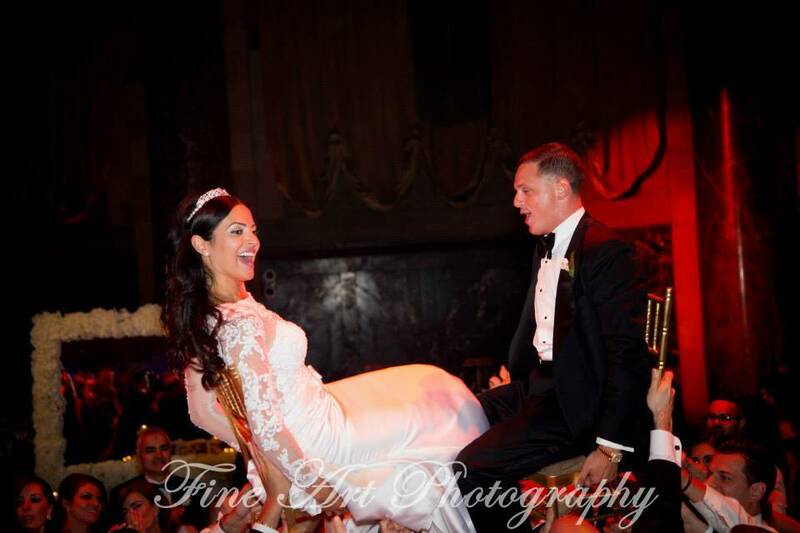 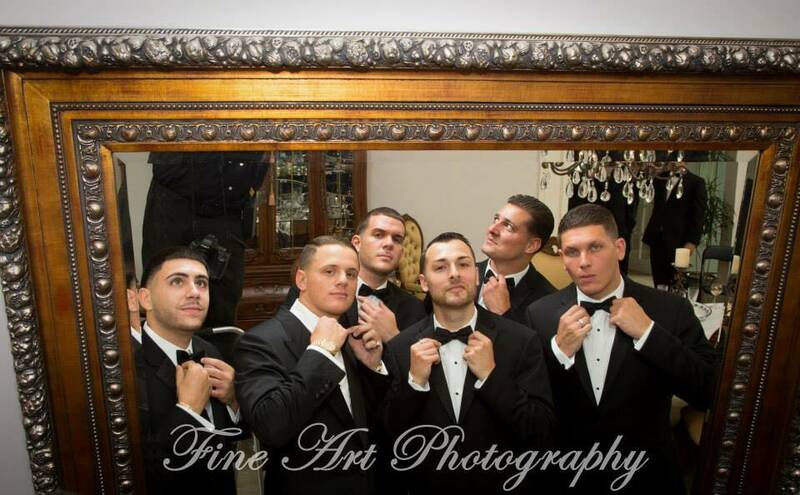 The slideshow below will offer you a wide variety of photographs of this couple’s special wedding day and click here to contact Fine Art and see what experienced Wedding photography at Cipriani can do to make your day unforgettable. 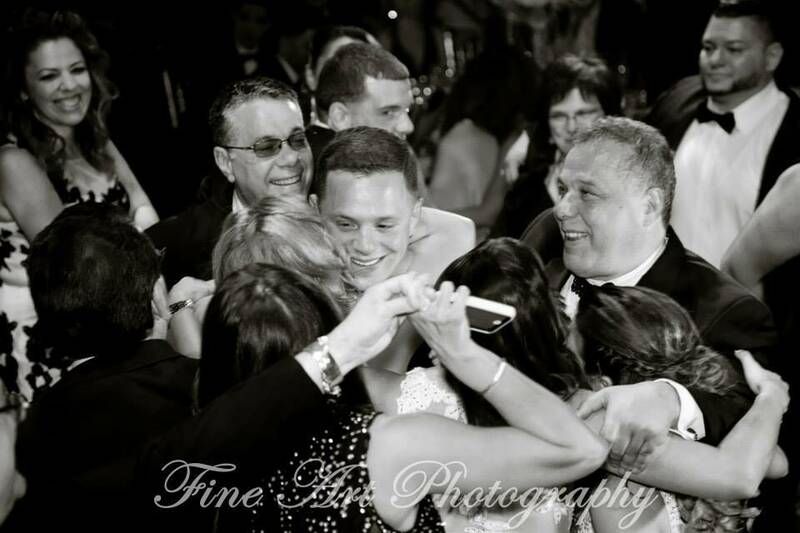 Need More! 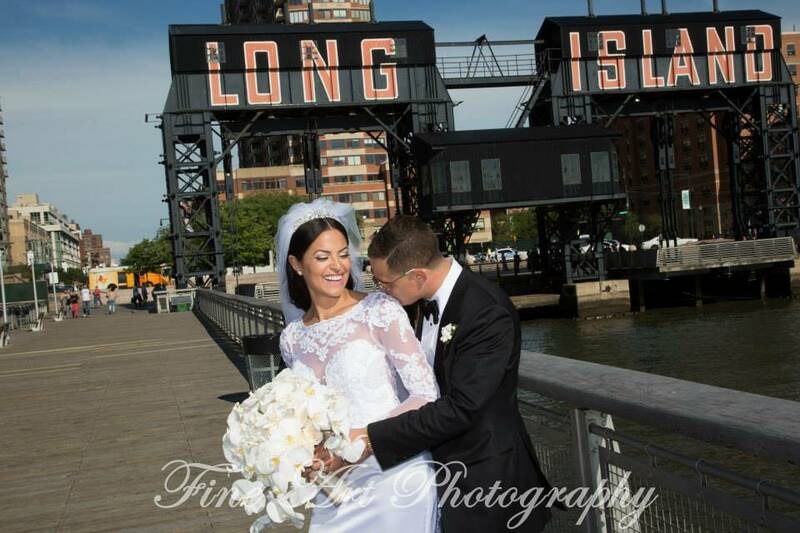 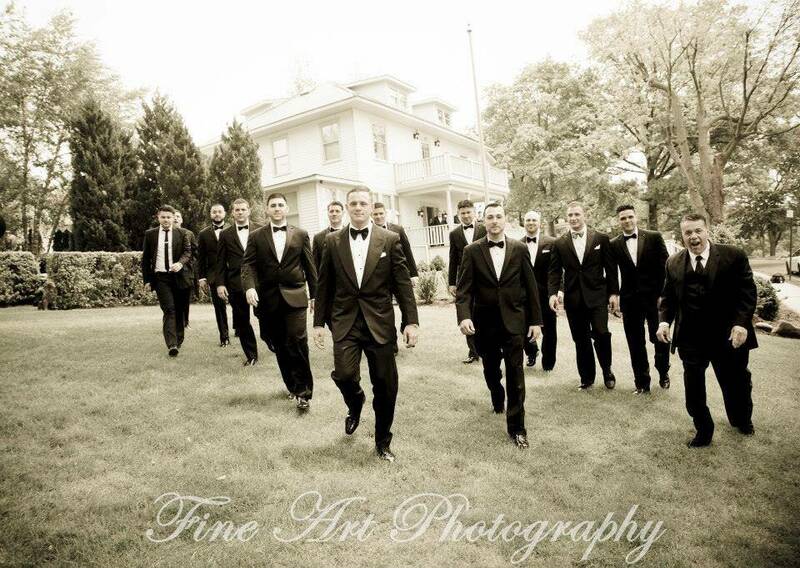 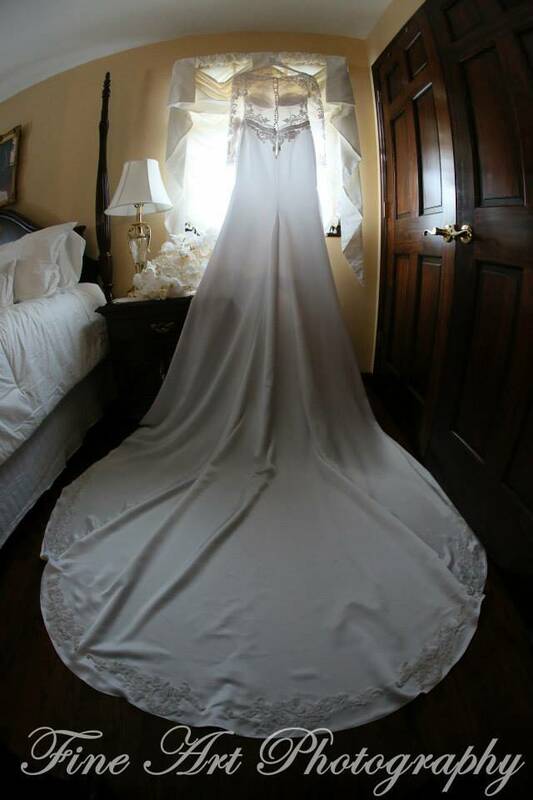 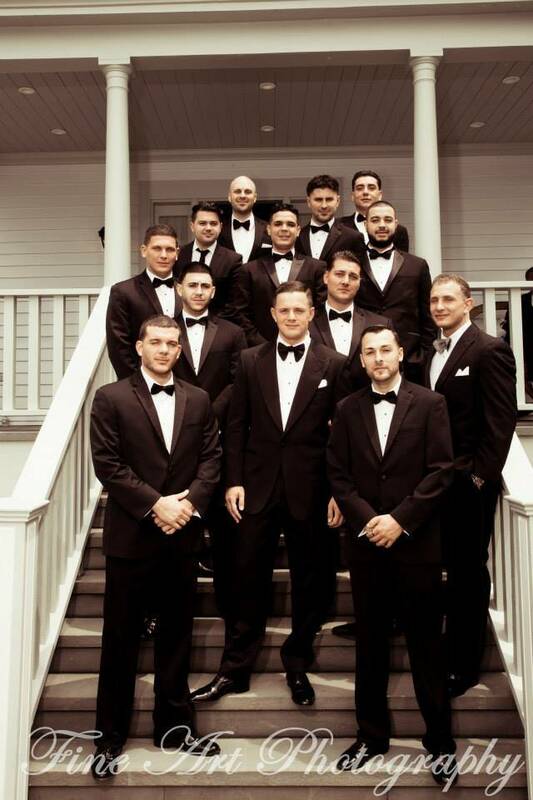 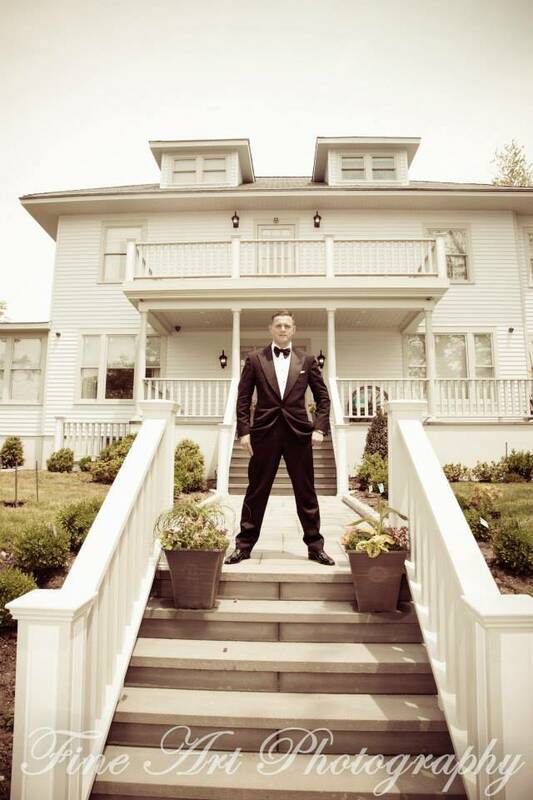 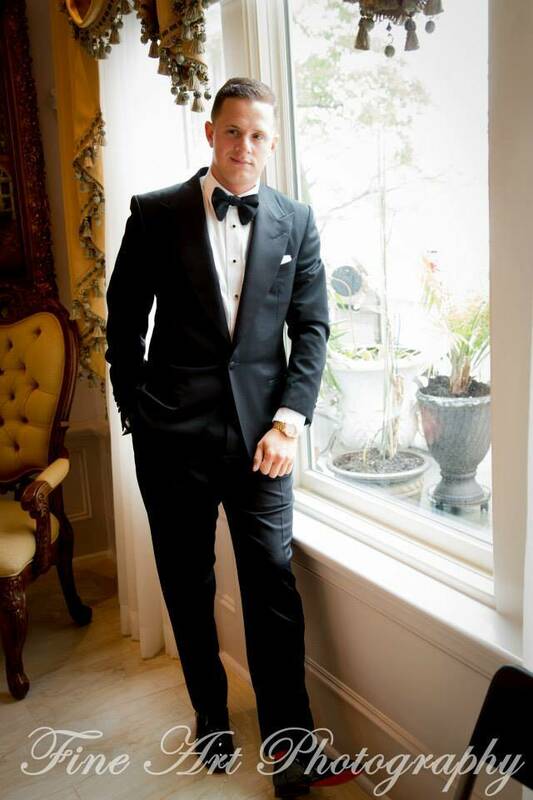 Check out our Featured Wedding or if you can’t find what you are looking for see the site map.